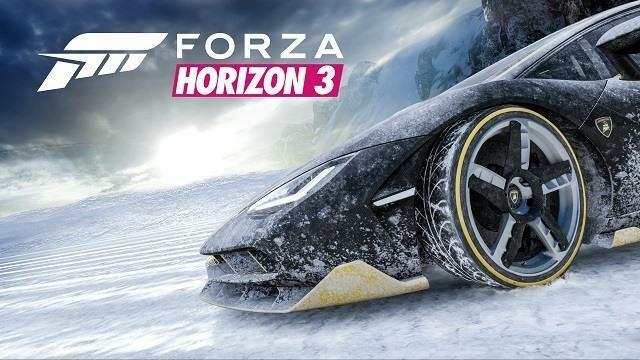 Forza Horizon 3 fans can rejoice at the news that Microsoft is planning on releasing a new expansion for the game. The prelude to the launch comes in the form of a new car pack called Alpinestars. The cars in the pack come from several manufacturers, from the more exotic 1990 Mazda Savannah RX-7 to the 1967 Ford Falcon XR GT. The other cars in the pack are the 1998 Nissan Silvia K, 2016 Dodge Viper ACR, BMW M4 GTS, 2017 Acura NSX, and 1979 Talbot Lotus Sunbeam. A trailer has been released where you can take a look at the new cars. Although exciting, the new cars are just the tip of the iceberg, an appropriate metaphor considering the new expansion will boast a snowy theme — right in time for Christmas too. Microsoft teased fans with the placeholder Blizzard Expansion, which is surely not the definitive name of the upcoming content. On top of that, all the promotional material suggests an icy theme for the expansion. As far as the release date for the new Forza Horizon 3 expansion is concerned, all speculation and clues point towards a December release sometime near the end of the month. More information is bound to arrive soon, as per the delight of the Forza community which is already pumped about driving the new flashy rides in a new environment covered in frost.